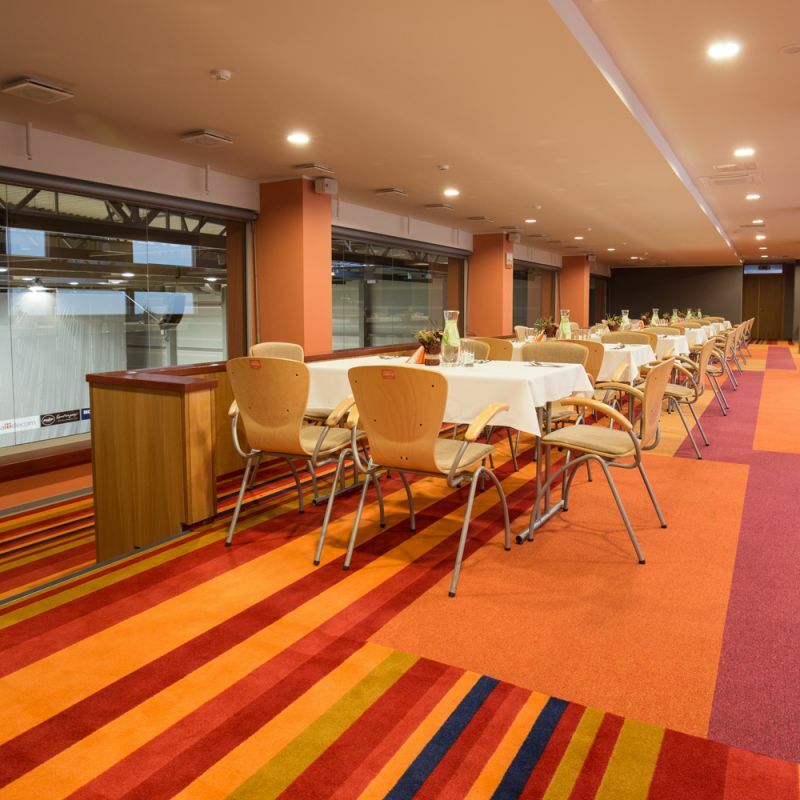 Comfort lodge is comletely suitable for parties, business lunches, corporate meetings, birthday or family celebrations and seminars, as well as for comfortable viewing of events in the Arena. From the lodge`s panoramic view of the Arena. The bar of Comfort lodge offers a special serving service with a possibility to order a meal before event. Comfort lodge has a seperate exit, WC and wardrobe.